Choice of colours & widths, made from a thicker, higher quality material. 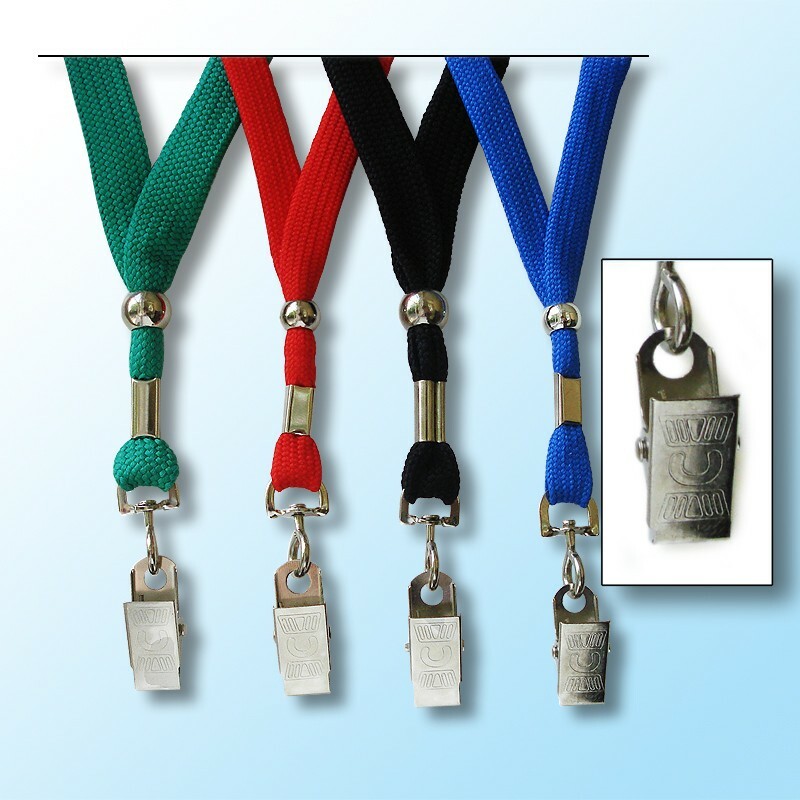 Superior neck lanyard with bulldog style clip and silver bead for size adjustment. The cord is made from a thicker weave which gives the lanyard a quality look and feel. 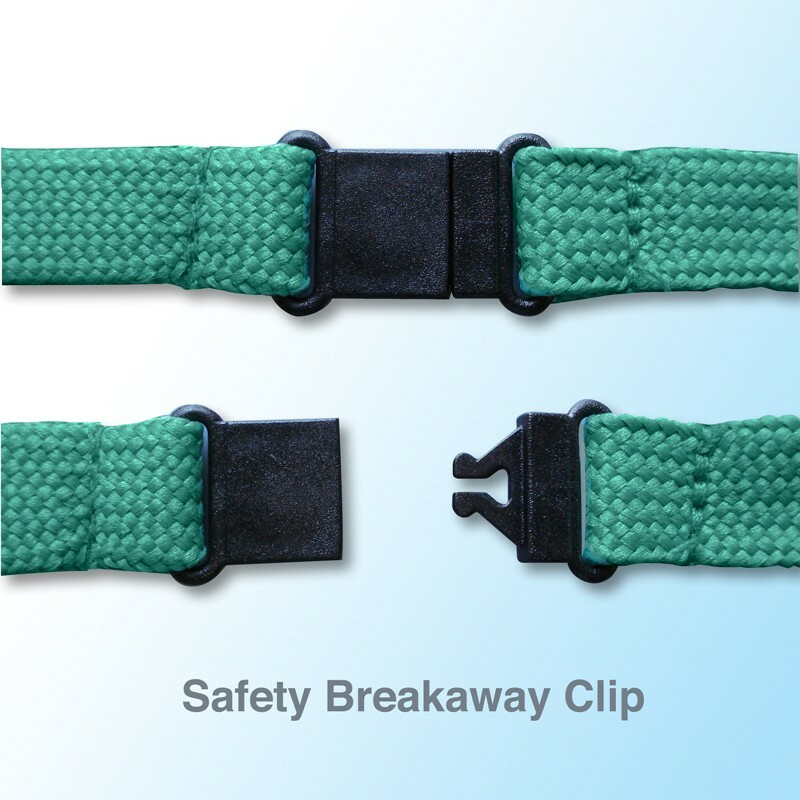 Has a safety breakaway fitting at the back too (will release if tugged hard). The lanyards are available in 4 colours - Green, red, blue and black.